Just because you're more into snuggles than disguises these days is no reason not to dress up this Halloween. 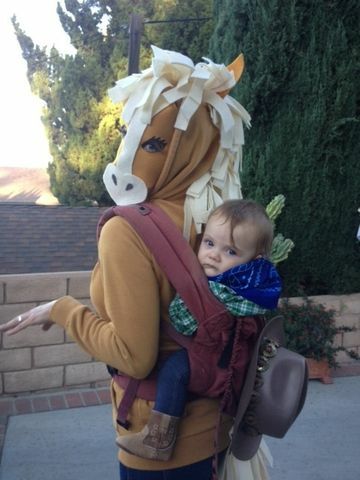 Check out these 10 costumes for baby-wearing mamas. From cuddly to creepy, you're sure to find the perfect inspiration for you and your mini trick-or-treater. Turn a hoodie into a horse costume, and adorn your little cowgirl or cowboy with a bandanna and western boots to pull off this easy, adorable getup. Then gallop on out to collect your candy, or enjoy your party! 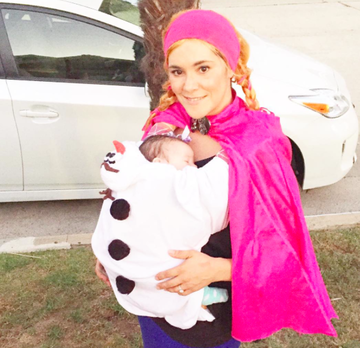 Hold on tight to your snowy sweetie with this Frozen-inspired costume idea that will warm even the coldest of hearts this Halloween. 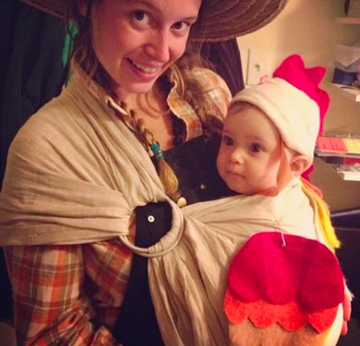 Keep your little chickadee close with this farmer and chick costume. Coop optional. 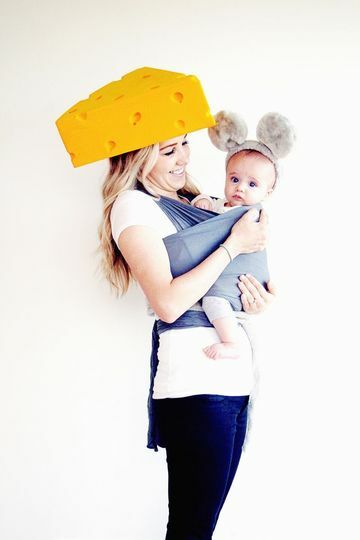 It doesn't get any simpler or sweeter than a cheese and mouse costume for you and your baby. 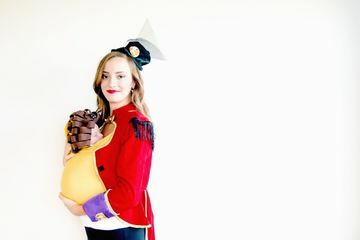 If your life feels like a three-ring circus these days, you'll love this lion tamer and little lion costume that's more fawnworthy than ferocious. 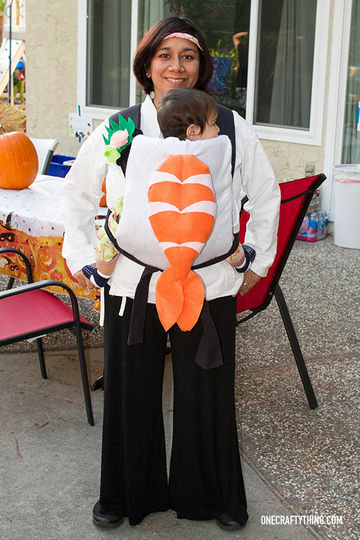 You're the sushi chef, and your baby's the most important dish you've ever created. This timely costume is perfect for the politically minded baby-wearing mommy or daddy and the future POTUS. 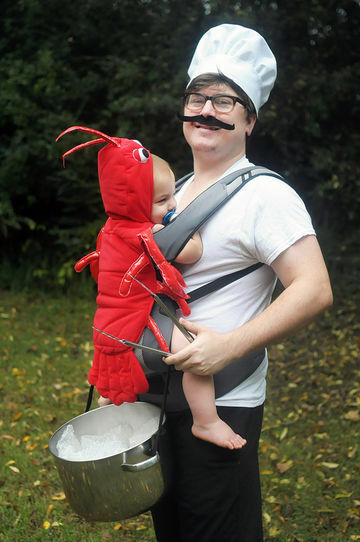 If your baby is your lobster, why not dress him or her like one? 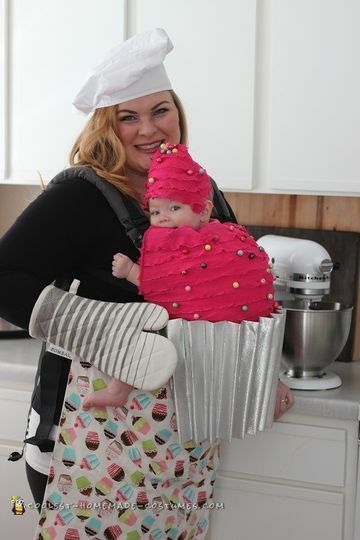 Now that your little cupcake is fully baked, parade her around in all her frosted glory this Halloween! Sprinkles optional. 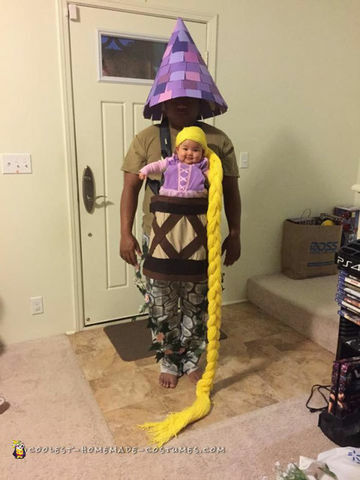 Keep your kiddo locked up in a tower while you still can with this super-clever Rapunzel-themed Halloween costume idea!